Fatima is using Smore newsletters to spread the word online. 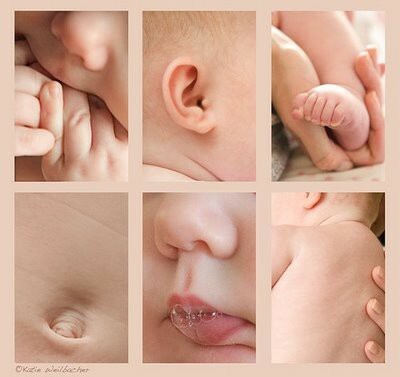 - Durning this period babies learn through their senses and own actions. 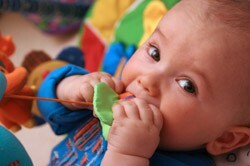 -Cognitive development is built through the infant's interactions with the environment. The sensorimotor period is broken down into six substages. - Sucking thumb,The child does not intentionally coordinate putting his thumb in his mouth and sucking. By chance, when a child's hand comes in contact with the mouth sucking will occur. Getting a pleasurable sensation from this behavior, the child will attempt to recreate the behavior. - A child is moving about in a playpen and happens to hit the mobile overhead. The mobile spins and catches the baby's attention. Once the mobile stops spinning, if the child enjoyed the experience, the child will move his arms and legs again to try and hit to mobile. The child wants to repeat the behavior. - Now, the child is starting to understand that one circular reaction can be used to get another circular reaction. Behaviors that the child displays are now for a reason. At this stage, the child begins to gain a sense of cause and effect. Also, a major event occurs during this stage: object permanence. Before now, children do not understand that an object out-of-sight continues to exist. Children acquiring a knowledge base of object permanence love to play peek-a-boo. - It is in this last stage that children internalize behaviors and began to build mental symbols! This stage is when children are able to participate in pretend play.